Our mentors are friendly, experienced Perl 5 developers who will help teach you new techniques and tricks. Perl v5 is a high-level general purpose programming language invented by Larry Wall and first released in 1987. It is an eclectic interpreted, procedural, loosely typed language. Its popularity peaked with the rise of the World Wide Web, though it remains widely used in Quality Assurance, IT infrastructure automation, text processing, bioinformatics and web application development, just to name a few areas. It is highly flexible, but this flexibility can have a follow-on maintenance cost. Every well-known Unix and Unix-style operating system ships with Perl included. 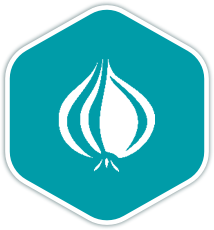 Once you join the Perl 5 language track, you will receive support and feedback from our team of mentors. Here are the bios of a few of the mentors of this track. I've written Perl5 since Perl 5.6, and authored the internal comments for the Perl debugger. A developer who first learned Perl 5 in a trial by fire, and then went on to build a programming career from it. Under development. Perl monger since 1998. I've written Perl 5 for quite a while now at various $WORK, and worked on quite a few FOSS projects with it as well. I'd love to help other people on learning Perl 5, as well as learn from them along the way. These are a few of the 64 exercises on the Perl 5 track. You can see all the exercises here. The Perl 5 Maintainers are the brains behind the Perl 5 Track. They spend their spare time creating interesting and challenging exercises that we can all learn from. We are incredibly grateful for their hard work. Here are the bios of a few of the maintainers of this track. Get started with the Perl 5 track. As with everything on Exercism, it's 100% free!